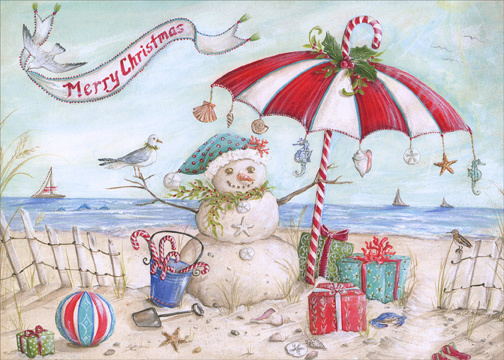 “Beach Snowman” by Kate McRostie. Exceptional Value Collection by LPG Greetings. Made in the USA. 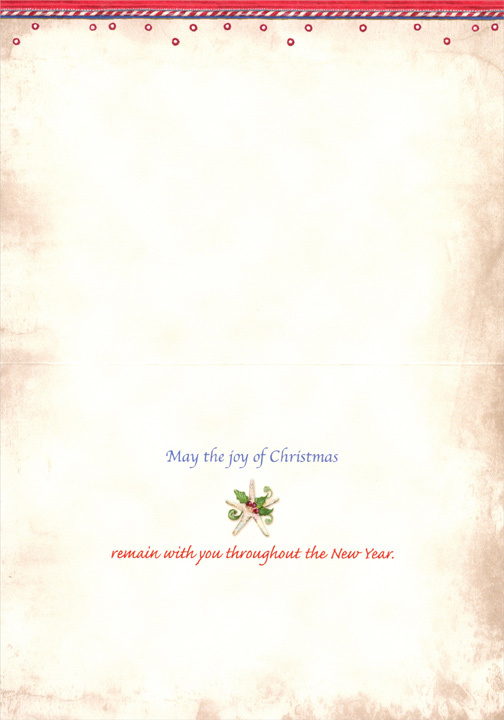 Inside: May the joy of Christmas remain with you throughout the New Year.